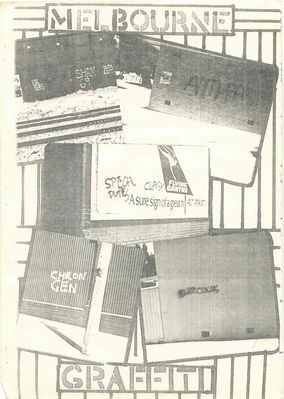 This was a basic fanzine, from Victoria, in Australia. Printed one sided, with plenty of cut and paste and marker pen artwork, it provides a nice snapshot of the Punk scene down under in the early eighties, including one page dedicated to pictures of 'punk band graffiti' around Melbourne. Regression was "put together by Alby and Zol". Issue 6 features a Charlie Harper/U.K. 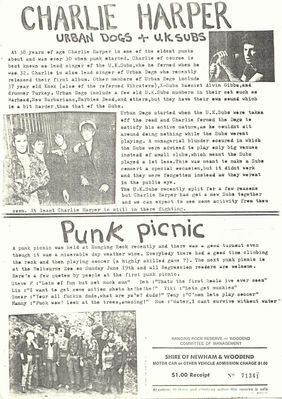 Subs/Urban Dogs article.